In Newport, Vermont, people of all ages and from all walks of life turn to Unsworth LaPlante, PLLC for advice on estate planning and elder law matters. The services we provide can help you be prepared if you become incapacitated or need nursing home care. We can help make sure your assets are kept safe and your heirs are provided for, and we can assist you in addressing end-of-life issues and creating a strong legacy. We care about our clients and the Newport community, and clients trust us for a reason. Contact us now to find out more. Newport, VT is the county seat of Orleans County and has the largest population of all of the municipalities within the county. Despite its larger population and the fact that Newport is home to more than 4,500 people, Newport has the smallest area of the municipalities in Orleans County. It also has the second smallest overall population of any city within the state of Vermont. Many people in Newport are employed by a call center, a manufacturer of military helmets, a Columbia Forest products plant, and Poulin Grain. There are also healthcare jobs available in Newport, as North Country Hospital and the Orleans-Essex Visiting Nurses Association and Hospice are located within the area. For recreation in Newport, residents and visitors alike take part in an ice fishing derby which takes place in February, or take part in the only Soap Box Derby in the entire state of Vermont. Visitors to Newport will find a city spanning 7.6 square miles on the southern shore of Lake Memphremagog. Both visitors and locals alike also enjoy an annual music festival which is held in Newport each year by the local rotary. County high schools are featured in the annual music event. In total, 19.3 percent of the Newport, Vermont population is made up of people aged 65 and older. The Northeast Kingdom Chamber of Commerce provides details on services for seniors in Orleans County, as well as in other local counties in Vermont. Some of the services include the Elks Club, Meals on Wheels, and a Barton Senior Meal Site where seniors can be provided with healthy foods on Tuesdays and Thursdays in the Village Square. Seniors throughout Newport, VT should take full advantage of some of the services which are available to them. Seniors should also take advantage of legal services to help them create a legacy plan, an asset protection plan and a plan for end of life care. 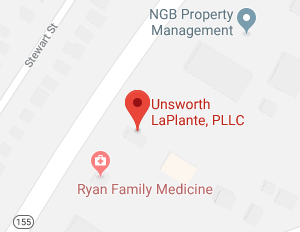 Unsworth LaPlante, PLLC is here to help. It’s important to get started as soon as you can so you have a plan in place before something happens to you. We not only assist seniors, but people of all ages living in Newport who want to protect themselves and their families from life’s uncertainties. Caring.com lists two local nursing home facilities right in Newport, VT as well as additional nursing homes in surrounding locations. It is beneficial for Newport seniors and their families to have Unsworth LaPlante, PLLC review nursing home admissions paperwork before a senior is admitted to a nursing home. You want to understand what you are signing and know what clauses the contract contains. It is also a good idea to make advanced plans for the payment of nursing home care costs, and to choose a nursing home before it is actually needed. Most insurers, including Medicare, provide limited nursing home coverage only in certain instances where there is a need for skilled care. To find the right nursing home and make sure it can be paid for without losing your entire life savings, you should act in advance of the time you need care and have a solid plan in place so no decisions must be made at the last minute when a medical emergency arises. Unsworth LaPlante, PLLC offers comprehensive estate planning and elder law representation. We provide help to people of all ages. When you want to set financial goals and protect assets, we assist you in discovering tax-advantaged accounts and taking the right steps to grow and protect wealth. If your goal is to make plans for end of life issues or plan ahead in case of incapacity, we help with making your wishes known on medical choices and asset management. We also assist with legacy planning and inheritance planning. Our strong reputation and the wide array of services we provide with both elder law and estate planing matters are the reason why so many clients in Newport, VT have turned to us for help. You cannot afford to wait to make your plans in an uncertain future, so reach out to us as soon as possible for help. Many of our services involve avoiding court by limiting assets that pass through probate and making an incapacity plan to avoid the need for guardianship proceedings. However, we also offer help during probate and guardianship, as well as during other legal proceedings in local Vermont probate courts. Within Newport, Vermont, most cases which come before the probate court will take place in the Orleans County court system. There is a probate division of the Vermont Superior Court which presides over things like guardianship proceedings. The probate division within Orleans County, where Newport residents will have their cases heard, is located on 247 Main Street, Newport, VT 05855. The telephone number to reach the court system is 802-334-3305. 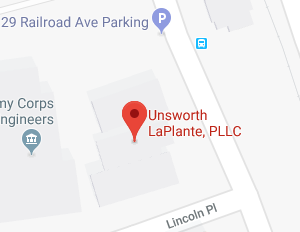 If you are going to this court for any reason, Unsworth LaPlante, PLLC can provide representation and guidance throughout your involvement with the probate court system. A Newport, Vermont elder law attorney can provide you with comprehensive assistance with all of your estate planning and elder law needs. To find out more about the different ways in which an attorney can assist you, contact Unsworth LaPlante, PLLC today. We look forward to serving you!